When it comes to cabins crafted for your sheer pleasure, it doesn’t get much better than the 2017 Mercedes-Benz C 300. Go with this model to experience ultimate luxury from a vehicle’s interior, with various comfort and convenience features to make every drive through John’s Creek more enjoyable. It seats four people and comes in both hardtop coupe and convertible configurations. Learn more, and then explore it in person at RBM of Alpharetta. Comfort is the name of the game with the 2017 Mercedes-Benz C 300. Standard on all models is a panoramic sunroof for a serene ambiance and to let in a cool Georgia breeze, as well as dual-zone automatic climate control to beat the hot temperatures during the summer. You’ll also enjoy power-adjustable front seats with lumbar support and driver memory functionality, as well as a power tilt-and-telescoping steering wheel—all of which works together to get you nice and cozy for whatever drive is ahead. If you go with the convertible version of the Mercedes-Benz C 300, you’ll enjoy a power-folding fabric top, the Mercedes AIRSCARF® system—which sends warm air to the necks and shoulders of front passengers so strong breezes won’t leave you chilly when the top is down—and a wind blocker so that you can enjoy long trips without feeling windblown when you get out of the car. In the Premium 2 package, you can also add interior ambient lighting. Premium 1 Package – This package includes a rearview camera and keyless entry so that you don’t have to fumble with your keys to get inside the car. Premium 2 Package – Opt for this package to get a power trunk lid that can open without your hands as long as the key fob is in your pocket or purse, as well as a navigation system and touchpad controller. Premium 3 Package – This package puts the focus on safety with things like adaptive cruise control and rear end collision warnings. 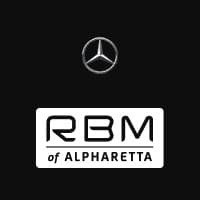 The 2017 Mercedes-Benz C 300 interior can be yours to enjoy when you shop at RBM of Alpharetta. Our dealership is located 345 McFarland Parkway in Alpharetta, GA, and our team is happy to help in whatever way we can before you visit!